I am finally on UNIFI thanks to B who at long last took charge of our Internet situation at home by getting the whole switch from Streamyx to UNIFI done on his own accord so good job! The whole process was pretty jiffy and installation was done as scheduled with no muss, no fuss. The representative who came to install my system was well-versed with her product and I got all my questions answered. The real test for me however would be to get my fax connected to the new number that came with UNIFI. 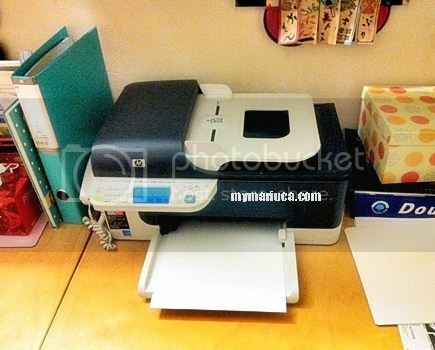 I had recently purchased a new Officejet printer from HP using the latest HP voucher codes. Thank goodness for Discount Codes I secured online, which allowed me to obtain my new printer and Save Money at the same time too! By the way, I got one of those all-in-one Officejet printers, which allows me to scan, copy, fax, call and I wasn’t sure how to get it connected to the new number. I know, that’s what the manual is for but I’ve misplaced the manual somewhere inside my messy home-office so until I can find it, I am now fax-less at the moment. Next plan, look for a solution online! Other than that, I am having no issues with UNIFI. There is a definite difference in speed, especially when it comes to downloads and I no longer have to wait for videos to buffer prior to loading. Oh yes, I also get to enjoy Hypp TV and so far everything is running smoothly, which is great and such a welcome change from the headaches I used to get with Streamyx. Having said that, I was actually a little sad to say goodbye to Streamyx but that’s just the sentimental fool in me having been a loyal customer for 10 years or so. Farewell for real Streamyx and Welcome UNIFI!